Posted on May 23, 2009 by Alicia Bay Laurel	in Blog and tagged press releases. IÂ’m having another art show in Japan of the original drawings for Living on the Earth, opening right now. ItÂ’s at the Birdo Flugas Gallery in Sendai. Here are some photos on Flickr of the framed drawings hanging in the gallery. 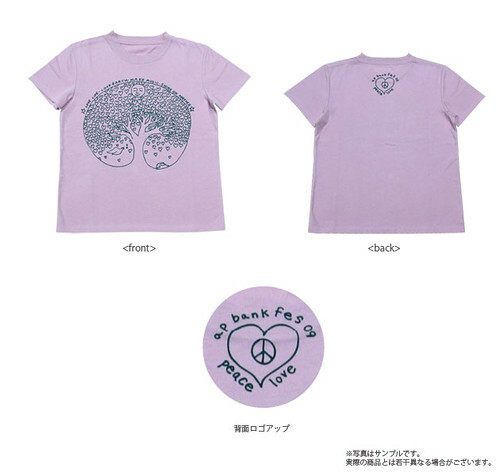 The show was set up by Keisuke Era of Artist Power Bank in Tokyo, an environmental activist arts organization. WeÂ’ve been collaborating on projects over the past few years. The latest is a couple of souvenir items for Artist Power BankÂ’s annual outdoor rock festival. Above is my drawing on their 2009 festival t-shirt. HereÂ’s how it looks on the order page of the festival web site. I also adapted a drawing of a sea turtle I made for a yet unpublished book for their souvenir towel. Here are both sides of the towel. 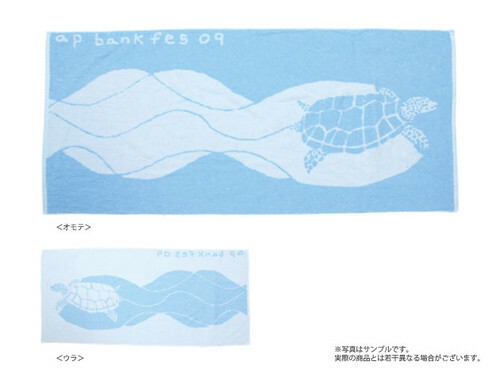 This is from the festival web page that sells the towel. 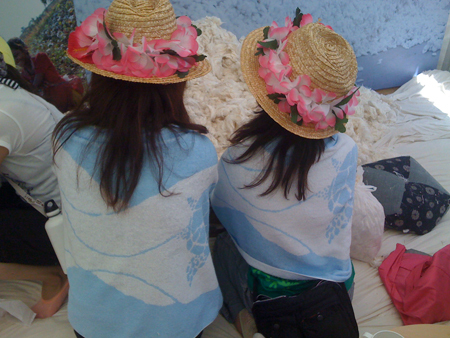 Here are two children at the festival wearing the towels as shawls! Hi Alicia-san, Would you give your messages to ap bank fes audience? It will be on web shopping site with your T-shirts and Towel graphics. Question 1. Please tell us the concept of the design. The swimming sea turtle shows that the ocean is healthy. Sea turtles die from drift nets and from choking on plastic bags (which look like food to them). We must stop polluting the ocean and using drift nets. In Native American and East Indian myths, the turtle is said to hold up the earth. The sea turtleÂ’s slow circular movements make waves in the water, which I drew in the design. 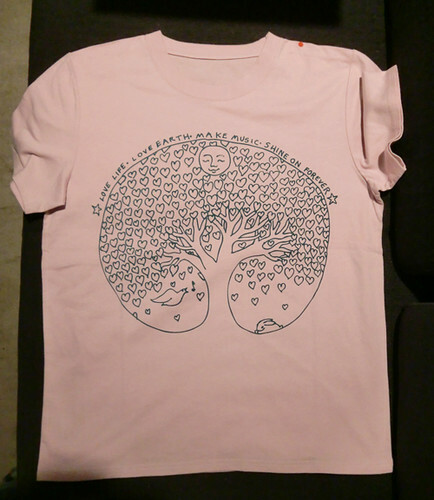 The t-shirt design shows the divine energy all around us coming forth as life (the tree grows out of emptiness). The tree of life expresses its energy as love (leaves like hearts). The bird is the joy of making music. The rabbit is the sweetness of innocence and connection to the earth. The sunÂ’s smiling face is the divine energy of compassion for all. Question 2. What do you believe for making the environment better? In our own daily lives, we need to do many small things that help. Take public transportation instead of drive a car when we can. Turn off lights we are not using. Insulate our buildings. Buy foods from farms near where we live. Try to use less packaging. Use recycling services. In the bigger, political world, we need to elect leaders and vote for laws that stop industry from polluting and from killing wild animals, and from manufacturing things that pollute. This takes organizing. This is difficult, but it must be done in every country in the world. Question 3. Message to ap bank audience please!! Thank you for caring about the earth and for caring about each other. You are creating the future. Enjoy the music and the festival!